Published: Jan. 1, 2012 at 04:55 p.m.
(10:44) (No Huddle, Shotgun) D.Orlovsky sacked at JAX 47 for -7 yards (J.Mincey). FUMBLES (J.Mincey), RECOVERED by JAX-G.Selvie at IND 46. G.Selvie to IND 46 for no gain (J.Linkenbach). (:18) (Shotgun) D.Orlovsky pass deep right intended for P.Garcon INTERCEPTED by M.Trent at JAX 35. M.Trent to JAX 30 for -5 yards. Lateral to D.Coleman to JAX 26 for -4 yards. Lateral to K.Rutland to IND 49 for 25 yards (J.Linkenbach). 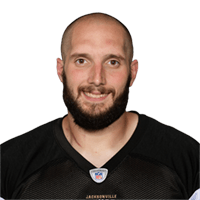 Published: Jan. 1, 2012 at 03:29 p.m.
Jaguars DE Jeremy Mincey sacks Colts QB Dan Orlovsky for another sack-fumble. Published: Jan. 1, 2012 at 02:32 p.m.
Colts QB Dan Orlovsky's passes is intercepted by Jaguars CB Morgan Trent, who starts a series of laterals in a failed attempt to score before halftime.